There are various diets out there that claim to cleanse the body from toxins. Some of the more famous include the grapefruit diet and the lemonade diet. For the last few months I’ve been toying around with something more substantial that will deliver way better cleansing benefits. This sandwich is that thing. It might appear to be an odd grouping of ingredients, but trust me. Each ingredient is carefully chosen to deliver the maximum nutrition and cleansing power. 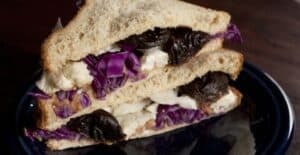 Eat this sandwich every day for a month and it will change your life! A cleanse diet based around one sandwich. 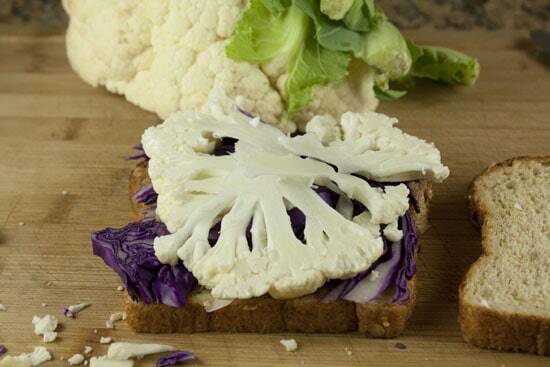 Eat this sandwich every day for a month and you’ll experience amazing health benefits! Here are a few of the guaranteed benefits that you will receive if you eat this sandwich every day… STARTING TODAY! Increased Energy – You’ll notice that you have a new bounce in a your step. This sandwich will trim a solid minute off your mile time. Increased Focus – Want to read a novel? Want to WRITE a novel? This sandwich will give you laser-like focus to accomplish your biggest goals. I ate this sandwich every day while I was writing my cookbook. Decreased Cholesterol – This sandwich will remove all excessive cholesterol from your body. It’s the sandwich equivalent of Lipitor. Perfect Blood Pressure – It doesn’t matter what your blood pressure is, it will be PERFECT after eating this sandwich regularly. Weight Loss, Muscle Gain – I’ve lost 10 pounds since eating this sandwich. I can now bench press 250 pounds. Thank you, sandwich. As with any nutritional program, I feel obligated to tell you about possible side effects of The Sandwich Cleanse. The only disadvantage worth mentioning is that you may experience slight to super-intense flatulence by eating this sandwich every day. It also tastes like absolute hell. Making this dream sandwich only takes a few minutes. For starters, don’t toast the bread. Toasting bread burns the wheat molecules and kills their nutritional benefit. 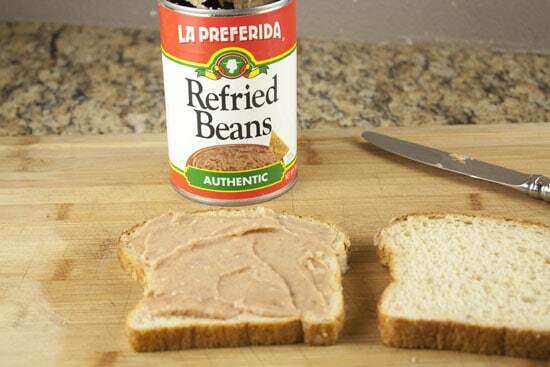 Then slather on some refried beans. Make sure the beans are cold. Go heavy on them. Then add a nice thick slice of red cabbage. 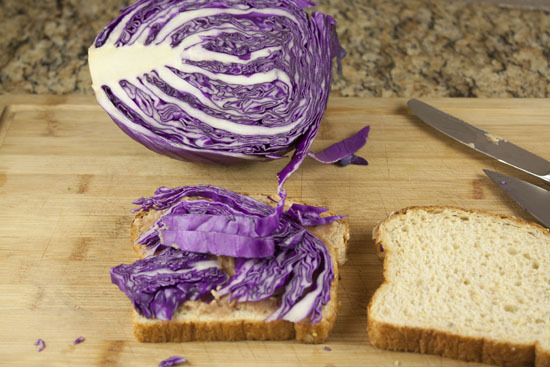 Cabbage is obviously nutritious plus it gives the sandwich some CRUNCH. Cauliflower is the next ingredient and one you can’t skip. It has tons of nutritional perks. 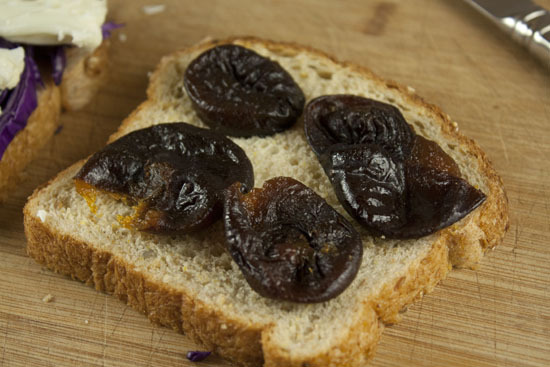 The final step is a thick layer of prunes. These give the sandwich a nice sweetness and help the whole thing slide down. Pick this thing up and take a big bite. Give this sandwich a shot and I bet you see results in as little as four hours! To really maximize the effects, try a sandwich a day for a solid month. I love you for this! Happy April Fool’s Day! Hahaha! This cracks me up on so many levels. I forgot that you do this April Fool’s thing every year. You know, Nick, I almost said the same exact thing Judy said, I love you for this, but i thought I better not. Your sense of humor is priceless. I had to come back and tell you that. You got me good again! Great sandwich, I recommend toasting it. 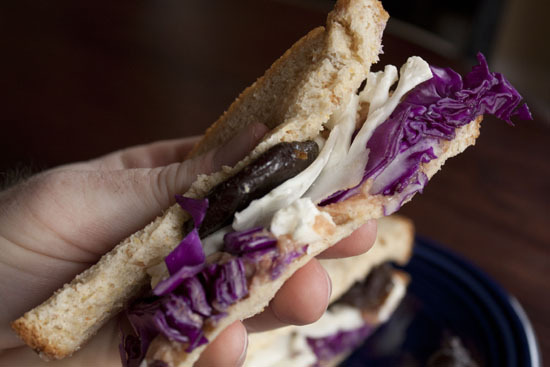 The toasted bread goes much better with the cabbage and califlour crunch. i decided to read the comments about two minutes before going to the grocery store to pick up those ingredients and thank goodness. as a new reader i feel properly hazed. bravo. You will never top the restaurant. HAHAHA!!!!!!!!!!! I LOVE THIS!!!!!!! Bunk, indeed. ALTHO, I have been eating a soup w/cabbage (BECAUSE I LIKE IT) with mixed cruciferous greens (BECAUSE I LIKE THEM) with some red beans, chopped tomatoes, carrots, zucchini, and a little bit of lean meat, usually chicken, for lunches during the week. Hell, even threw in some romaine that looked a little wilty. Well seasoned. It’s delicious, and It fills me up w/o making me go off on some guilt trip!!! Basically it’s a “clean up the veggie bin” soup. Oh, thank goodness I remembered that it was April Fool’s Day. It’s actually pretty similar to the actual sandwiches my mum fed me as a kid – apple, cheese and vegemite; carrot, peanut butter and grapes – if only that was a joke. For some extra “oomph,” I added a simple broccoli reduction. Sure sped up the process!